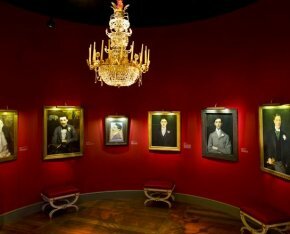 Paris, Fondation Pierre Bergé - Yves Saint Laurent, from 11 October 2012 to 27 January 2013. 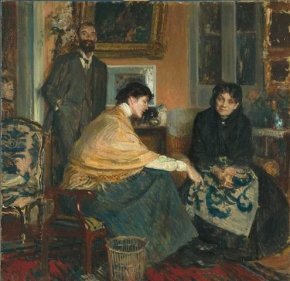 The Fondation Pierre Bergé - Yves Saint Laurent is presenting a superb exhibition showcasing Jacques-Emile Blanche (1861-1942). This is the first time such an extensive ensemble of the artist’s work is reunited in Paris since 1943, incredible as it may seem, and in France since the show at the Musée des Beaux-Arts in Rouen in 1997. This is therefore a much welcomed event. We would hasten to say that visitors should not be misled by the allusion to Proust in the title selected by the organizers, initially Pierre Bergé himself, nor by the remarkable staging chosen by Jacques Grange and Nathalie Crinière which recreates the atmosphere of a "salon" in a very legitimate way although these references are indeed intimately linked to the artist’s universe : we can certainly understand why Pierre Bergé and Jérôme Neutres, the curator, wished to subtly evoke a world we know disappeared, at least in its finest form, after World War I. However, while the painter did indeed participate in this moment of perfection and civilization known as the "Belle Epoque", it would not be fair to limit his influence and his art to a simple reflection of the society of his time, though no doubt detractors of any art movement not falling into the hackneyed category of "avant gardes" will be sure to do so, an equivalent of saying that Marcel Proust himself was a mere motif and, why not, a chronicler of high society (which he also was). 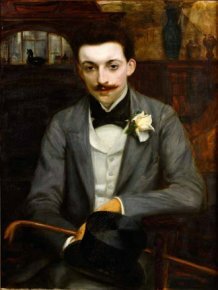 In the preface, Pierre Bergé wonders if Jacques-Emile Blanche was a real painter ; Blanche himself evokes the ambition of wishing to restitute the "tone" of the era, but are artists their own best judges ? This is highly doubtful of course. 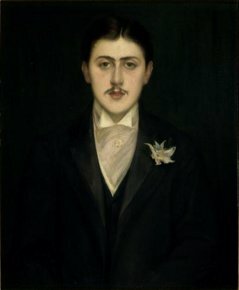 The very famous portrait of the author of In Search of Lost Time, seen in the exhibition poster (ill. 1) which welcomes visitors (ill. 2) along with the admirable ones of Maurice Barrès (ill. 3), Robert de Montesquiou (ill. 4) and Pierre Louÿs (ill. 5) nevertheless provides us with an answer : this is indeed real painting we have come to see and we will not be disappointed ! 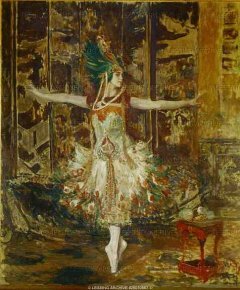 More than just his favorite models, the subject, the Belle-Epoque itself, Blanche is a great artist and the many works assembled at Avenue Marceau serve to make the demonstration brilliantly. 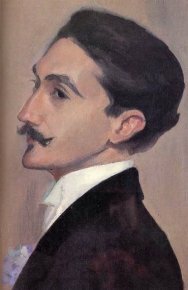 The good fairies, and even more pertinently the muses, smiled at Jacques-Emile Blanche when he was born ; the son of Doctor Blanche, a famous alienist who welcomed the Parisian "who’s who" of arts and letters in Auteil at the former residence of Princess de Lamballe (today the Turkish Embassy). Totally familiar since childhood with this refined and cosmopolitan circle whose "names" we do not even need to mention as we find them all there, the artist would remain part of this world until his death. 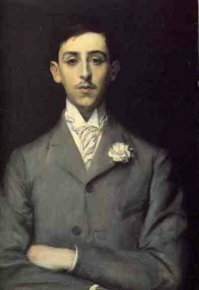 His talent as a writer (many insightful critical texts, artist monographs, novels, Cahiers [notebooks] between 1914 and 1917, several collections of memoirs and an extensive correspondence) reveal this particularly privileged "training" which in fact was responsible for the unfair reputation he gained of being a dilettante, of facile accomplishments : true, talent is rarely the gift of plodders. "A portraitist !" others will say ineptly, as if one third of western art were not made up of portraits. 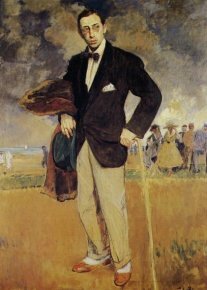 The overriding production of portraits in Blanche’s art, which bequeathed to us the likeness of the "great men" of his time from Mallarmé to Camus and Crevel, from Mauriac to Poulenc and Joyce, does not conceal the "manner" in which his vision of his "models" shaped his art. 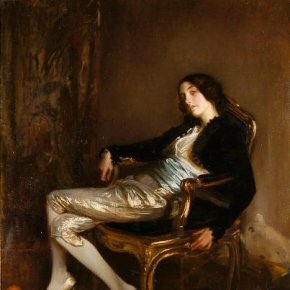 A far cry from the facile idea of so-called high society painting, a label used by those who know nothing about it and wish instead to eliminate certain artists no matter the cost (among which Helleu, La Gandara, Boldini, etc. ), Blanche never sacrificed his style to the subject he chose to represent : he put his talent at the service of the model in order to grasp his aura which permeates the painting itself : matter shapes spirit but, in turn, spirit forges matter. in 1971 for the "Proust Ball"
painter : "This is no longer a sculptor but a prophet !". 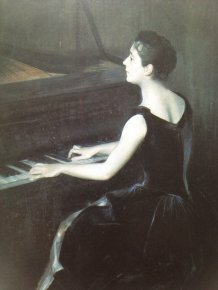 The harmony of the whites, grays and blacks, worthy of Whistler or Sargent which the artist developed using pastels for the splendid portrait of the pianist Léontine Bordes-Pène (ill. 10), the warm and refined colors employed for his portraits Désirée Manfred, the "Matiériste" treatment of Karsavina (ill. 11), Nijinski and Stravinski (ill. 12), as if his painting took into consideration the abrupt character of the Ballets Russes, confirm the diversity of Blanche’s pictorial approach. 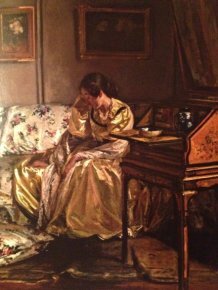 This range of treatment was often seen as superficiality and he was accused of looking too closely at art history, the Spanish, the Flemish, the 18th century, the English, Manet, etc. If we are to believe these specialists, the ideal painter is the one who has never looked at any one else earlier and whose monolithic and immutable work, is cut off from all context and precedence, a style of painting ex nihilo or from a tabula rasa. True, there was a time when pedants criticized Stravinski for composing the neo-classical Concerto for violin, Oedipus Rex or the Symphony of Psalms after The Rite of Spring ; we know how the musical genius responded to Schonberg’s disciples with a memorable slap : he "contented himself" with producing some of the most memorable masterpieces of "Serialism", at almost eighty years of age, on their own ground with, among others, Threni and the remarkable Requiem Canticles. The value of a work cannot be evaluated on the basis of a compulsory aesthetic choice, of a so-called adaptation of the form to a specific date or to the forms of the time declared as "dominant" by posterity, but rather according to its intrinsic value alone. 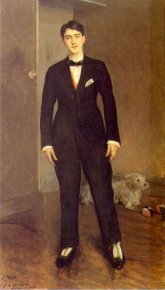 What do we care about Picasso or Dada (which in fact Blanche understood perfectly) ? Why should we care about the date inscribed on a sign ? 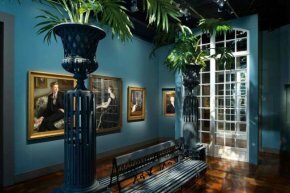 When looking at the portraits which decorate the walls of the Fondation Yves Saint Laurent, we do not ask ourselves about the historical legitimacy of the painter’s aesthetics or the validity of portraits between 1890 and 1920. 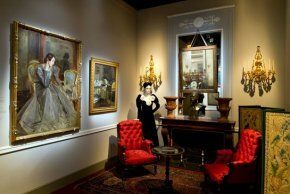 The portrait of The Halévy Family (ill. 13), with its intimate serenity and the harmony of subdued colors and forms, the extraordinary treatment of the fabrics and the wood in the Portrait of Désirée Manfred at the Chamomile Lacquer Desk (ill. 14) and Mozart’s Cherub (ill. 15), or the gloomy André Gide (ill. 16) whose matte paste and alliance of blacks describe a kind of mysterious traveler seen as a brigand talk to us in much the same way as does the portrait of Jean Cocteau (ill. 17), face on and almost insolent, with a composition whose subtlety comes from the grays of the gaiters, the little dog and the electrical switch. 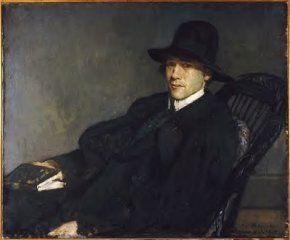 These paintings are perhaps portraits but all of Jacques-Emile Blanche’s painting is "the portrait" of true Painting. We do regret that the catalogue which accompanies the exhibition, except for a few interesting texts and entries of varying quality (some are almost cliché such as the one on Montesquiou who, for example, was never a "Parnassien" but rather a Symbolist and whose systematic association with Charlus, overshadows his remarkable critical work), offers only illustrations which are poorly reproduced. The photographs saturated with black, even blurred, do not pay due tribute to the painter. The occasion is also marked by the appearance of a publication by Jane Roberts who has spent many years researching the artist. 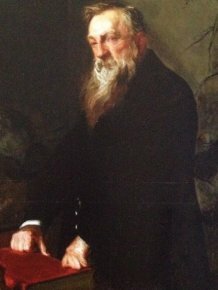 Using a biographical and chronological approach, it includes important appendices, the list of the painter’s signatures, a study of sources and the reproduction of a great many works as well as a list of exhibitions and a beautiful bibliography, making this book extremely useful though the plastic analysis of the works themselves is at times a bit superficial : this is a beautifully illustrated biographical work. 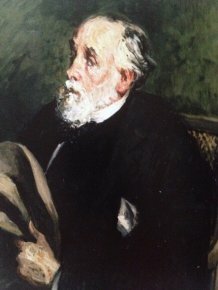 A really extensive and beautiful art history study with a catalogue raisonné of Jacques-Emile Blanche remains to be written and, for the moment, the catalogue of the Rouen exhibition remains the best scholarly tool for art historians on the subject, along with the texts by Bruno Foucart, Philippe Dagen and also the belated Roger Delage on music. Finally, we would like to recommend the thick biography of the artist which appeared in 2006, edited by Bartillat, written by Georges-Paul Collet and, of course, the works by Blanche himself : Mes modèles, souvenirs littéraires (1928, new edition by Stock, 1984), Propos de peintres (in three volumes 1919, preface by Marcel Proust, 1921, 1928), La Pêche aux souvenirs (1949, posthumous), as well as the correspondence with François Mauriac, André Gide, Maurice Denis and Jean Cocteau (edited in 1976, 1979, 1989, 1993), all make for fascinating reading.